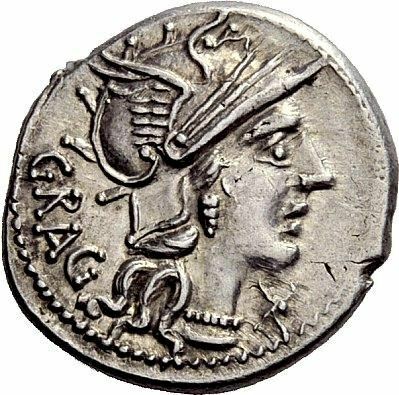 L. Antestius Gragulus was one of the moneyers for the year 136 BC. He is otherwise unknown. Gens Antestia, or Antistia, was a plebeian family at Rome. The first of the gens to achieve prominence was Sextus Antistius, tribune of the plebs in 422 BC. The oldest families of the Antistii used the praenomina Sextus, Lucius, and Marcus. In the later Republic, members of the gens also used Publius, Titus, Gaius, and Quintus. In 29 BC, Octavian elevated this family to the patriciate.